Celebrity TV presenters Julia Bradbury, Matthew Wright, Pamela Ballantine and Sean Fletcher are encouraging you to Walk Together this summer. 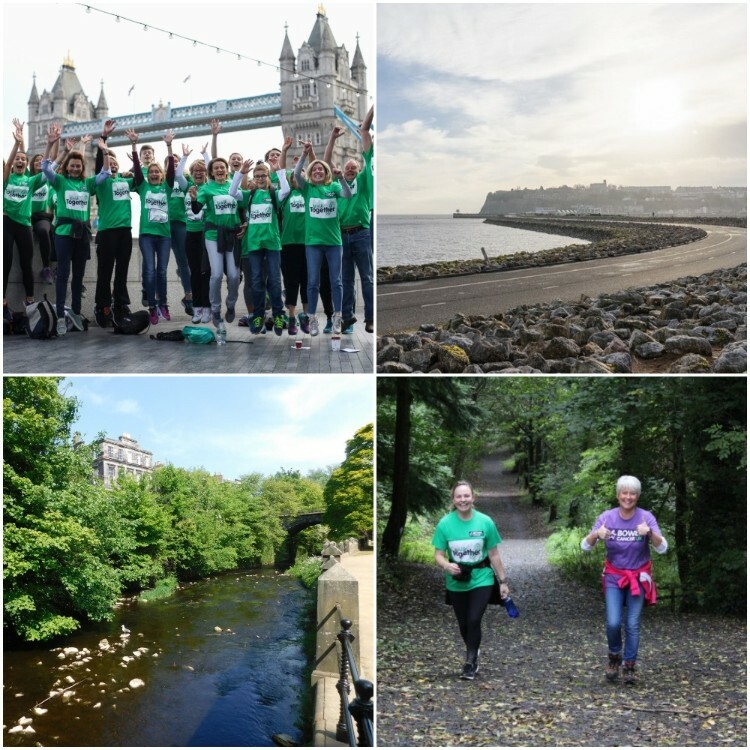 Edinburgh, Saturday 1 September: The four mile walk in the heart of Edinburgh will take walkers on a picturesque route along the Water of Leigh and soak up scenery of the stunning city. London, Saturday 15 September: The five mile London walk from London Embankment to Southwark Park will pass iconic city sites like Millennium Bridge, St Paul’s Cathedral and Tower Bridge. Cardiff, Saturday 22 September: Our very first Walk Together in Wales is five miles around the Cardiff Bay circular route, with spectacular views of the Bristol Channel. Belfast, Saturday 29 September: The six mile walk along the beautiful circular trail in Belvoir Park Forest explores the diverse woodlands and historic estate in Lagan Valley Regional Park. If you can’t make one of our organised walks, you can hold your own Walk Together event somewhere special in your local area, from July to September. It’s easy to do and our team will support you along the way.